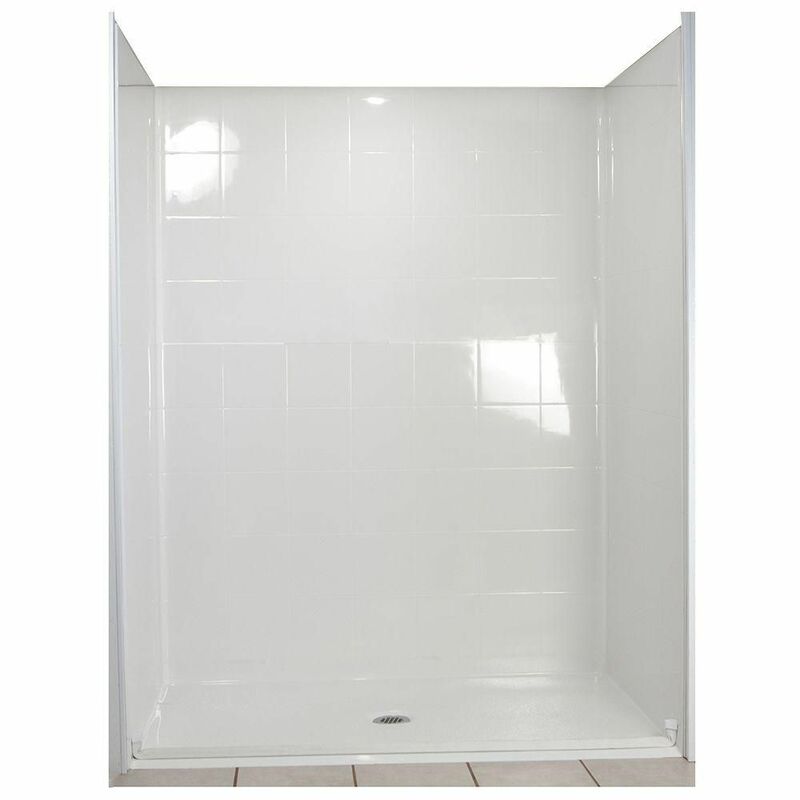 Standard 31-Inch x 60-Inch x 77 1/2-Inch 5-Piece Barrier Free Roll In Shower Stall in White is rated 3.0 out of 5 by 2. Rated 1 out of 5 by Bob from All 5 pieces of this shower stall has alignment pins with holes that the pins go into. None of th... All 5 pieces of this shower stall has alignment pins with holes that the pins go into. None of the holes line-up with the pins. I'm currently trying correct this problem. You would think that $2608.+ would get a more professionally manufactured product. I'm very disappointed with this product!! !